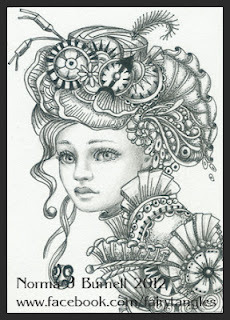 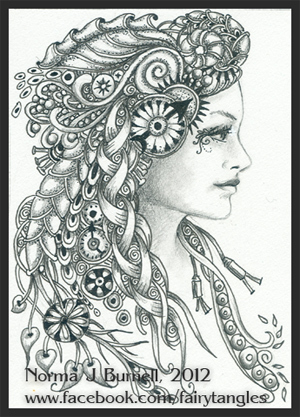 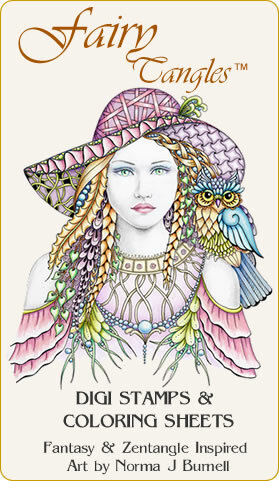 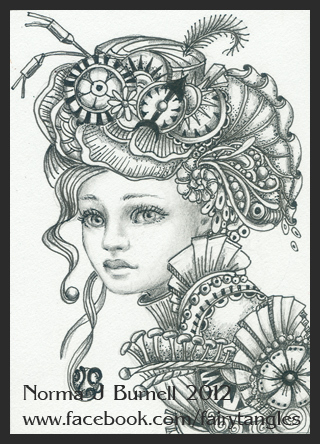 My second Steampunk themed Fairy-Tangle™: "Ambrosia" - 2.5x3.5 inches, micron pen and graphite on Bristol Board. 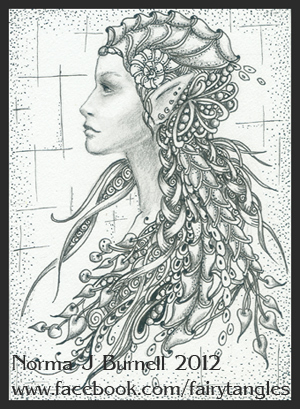 So, I thought I'd amp up the Steampunk theme on a few Fairy-Tangles™....here's my first attempt: "Rachel", 2.5x3.5 inches, micron pen and graphite on Bristol board. Wow, it's been a while since I've posted. 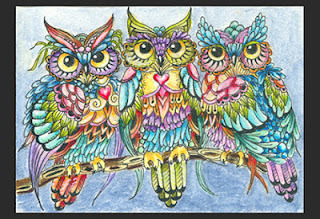 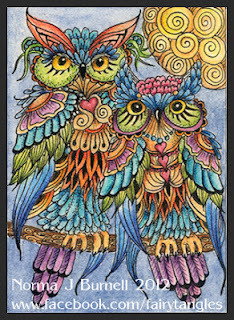 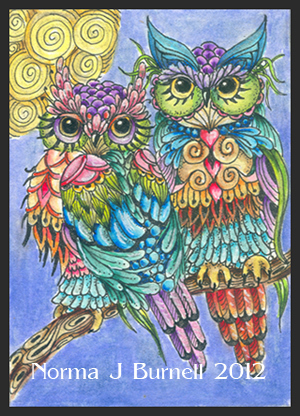 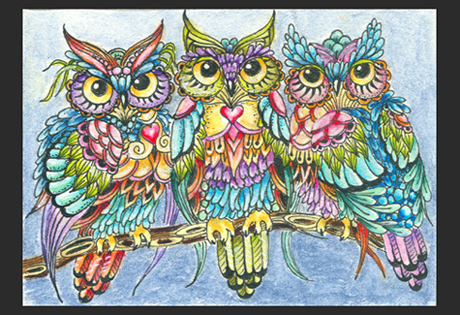 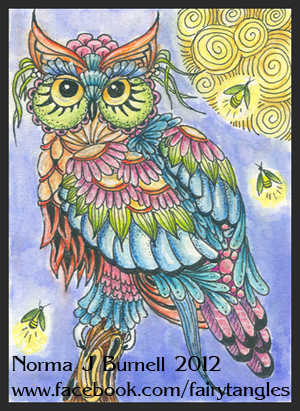 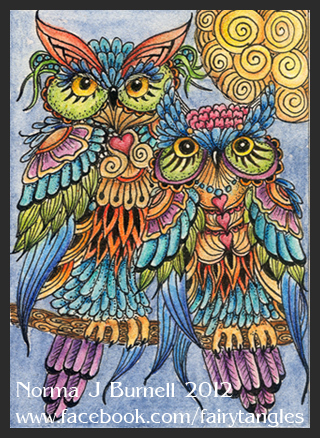 So here's a few Tangled Owls ACEO's done on hot pressed watercolor paper with micron pens, Inktense color pencils and or Tombow Brush pens with clear star glitter pen washed throughout.